German authorities will release GDP data for the three months to March on Friday. Solid export figures and a rise in manufacturing output have supported economic growth of 0.7% in the first quarter. The strong economic performance has seen Germany’s 2017 growth rate upgraded from 1.2% to 1.7%. With joblessness at historic lows and spending being driven by record-low ECB interest rates, currently at 0%, the overall economic outlook is overwhelmingly positive. This in spite of substantial risk factors in recent years, including Brexit, continental populism, a rise in terrorist incidents and spike in migration. 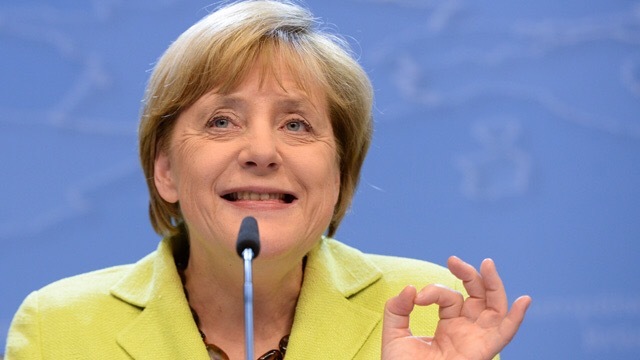 The trend is good news for Chancellor Angela Merkel, who will seek a fourth consecutive term on September 24. Her conservative Christian Democratic Union holds an 11-point lead over the Social Democrats, who they’re expected to beat in the North Rhine-Westphalia regional election on Sunday. If this trajectory is maintained, Ms Merkel is tracking towards electoral victory later this year and another four years in office.